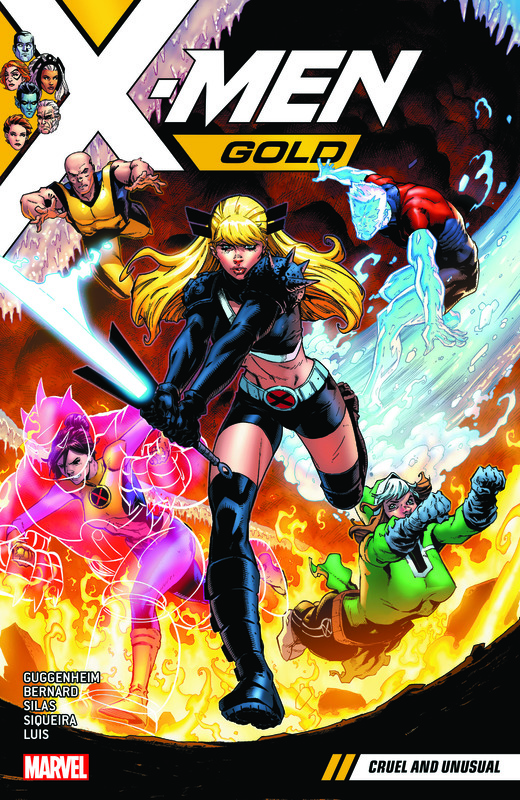 Collects X-Men Gold #21-25. Sacrifices were made in the fight against Scythian — so where do the X-Men go from here? They’d better decide quickly, because the Brotherhood of Evil Mutants is back — and deadlier than ever! 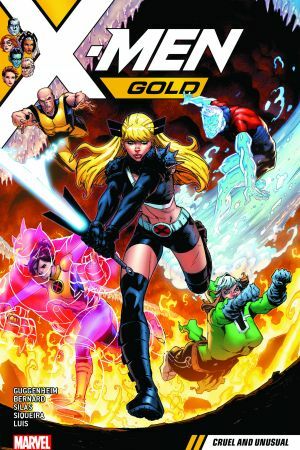 As the Gold squad bids farewell to one of its own and faces its most devastating loss, what exactly is wrong with Rachel Summers? And when Kitty Pryde and her team end up in prison, who will protect the good people of New York? 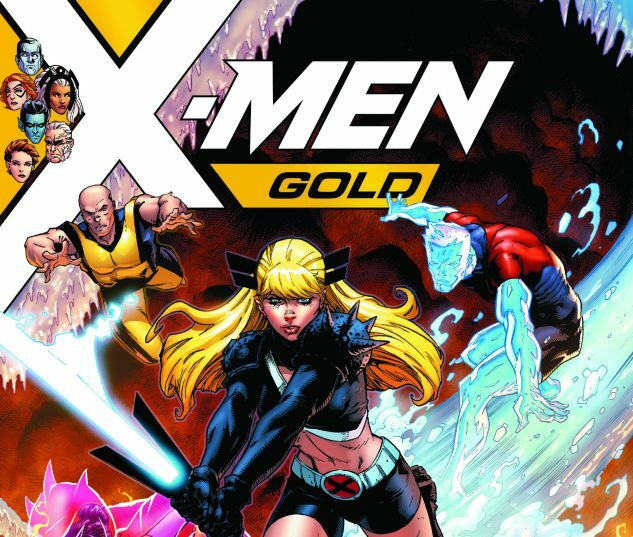 Prepare to meet… the new X-Men Gold! They’ll stand up to the Shredded Man and other deadly threats — but something bigger than they can imagine has survived the Negative Zone and is on its way, looking for revenge! Can our jailbird mutants — with the help of the rest of the Big Apple’s super heroes — somehow lend a hand?